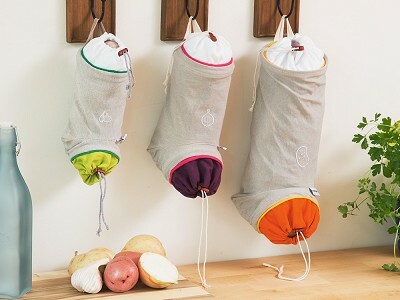 The reusable vegetable storage bags from Mastrad are a better working and better looking approach to keeping things like potatoes, garlic, onions, and other root veggies in check. Load the bags from the top, so the first veg in is the first one out the bottom. A drawstring closure keeps everything corralled. There are different sizes (or go for one of each!) to best store different types of vegetables. 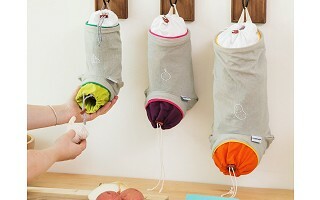 The reusable sacks are made from durable and washable cotton/linen canvas that blocks freshness-zapping light, which helps to prolong shelf life. 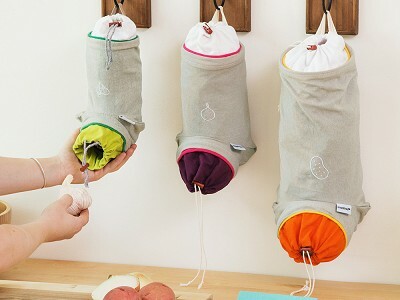 We really like that these bags can hang, which frees up valuable shelf space in cabinets and pantries, while they keep vegetables tidily in place. What are the weight limits for each?